Open Year-round and operated by Tahoe Treetop. Located behind Granlibakken Resort in Tahoe City, our Tahoe City Treetop Park offers 97 tree platforms within a secluded forest with large pine trees and old growth cedars. Our Tahoe City location contains 27 zip lines and 60 bridges/events to accommodate participant ages 5+. Elevate your next meeting, event, or retreat at Granlibakken Tahoe. 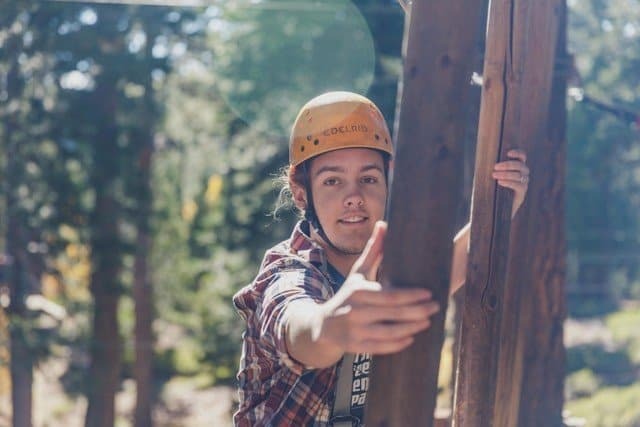 The Tahoe Treetop Adventure Park offers a safe, challenge-by-choice atmosphere for your team to build stronger connections. People of all athletic abilities are welcome to enjoy the courses, and a range of course difficulty levels-from easy to most difficult- will ensure that everyone in your group has a blast. Add some zip to your next Tahoe trip!